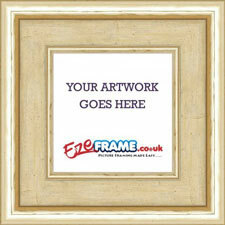 Just enter the size of your artwork to view our range of frames and mounts. If you are unsure what size you should enter, please read our informative measuring advice. Five Modern Colours with Natural Veneer Finishes - Maple, Beech, Oak, Walnut and Wenge. 18 Different Profiles to suit every requirement, including Box Frames, Floater Frames, and Deep Set Frames. Brilliant framing options to match modern living trends such as wooden flooring and real wood furnishings. Create a unique gift with your personalised message. 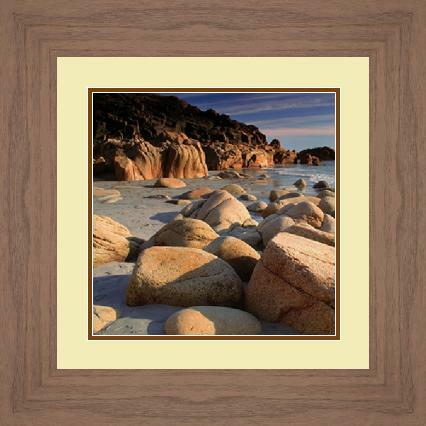 Available in a range of colours and popular photographic print sizes, this real wood photo frame is hand made is the UK using a 40mm wide moulding. 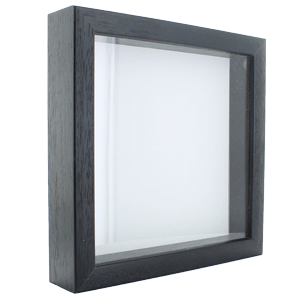 The wide profile moulding allows the frame to be free standing, or it can be wall mounted with the supplied fixings. 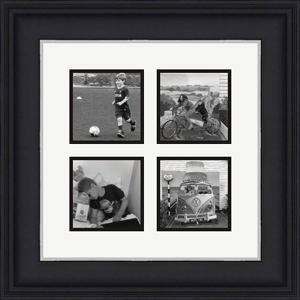 Perfect for displaying a collection of photographs based around the same event, person or group. Either create a symetrical layout of matching apertures or get creative with the mish mash approach. Reproduce that magical moment on to digital canvas so the memory can be shared and never forgotton. 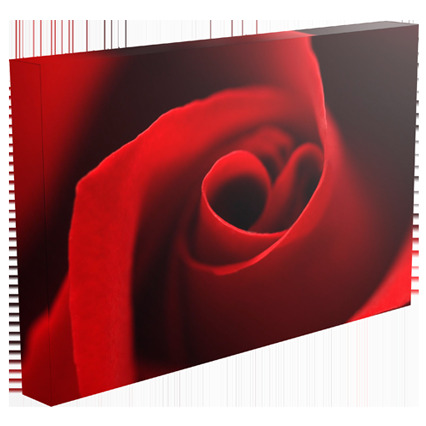 Canvas Pictures can be supplied framed in picture frames or canvas floater frames, or without any frame. Frames with the glazing and backing spaced away from each other to allow an item of depth to be fitted. 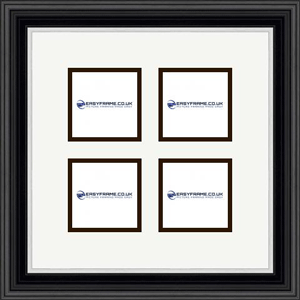 Extensively used for framing 3D items such as Golf Balls, Wedding Flowers, Decoupage, Clothing, etc, etc. Get the complete picture, hassle free. 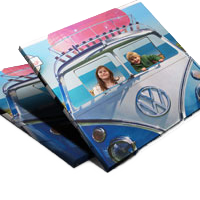 Just upload your digital image for it to be printed, framed and mounted to your specification. Wait a few days and all you need to do is hang your artwork on your wall. 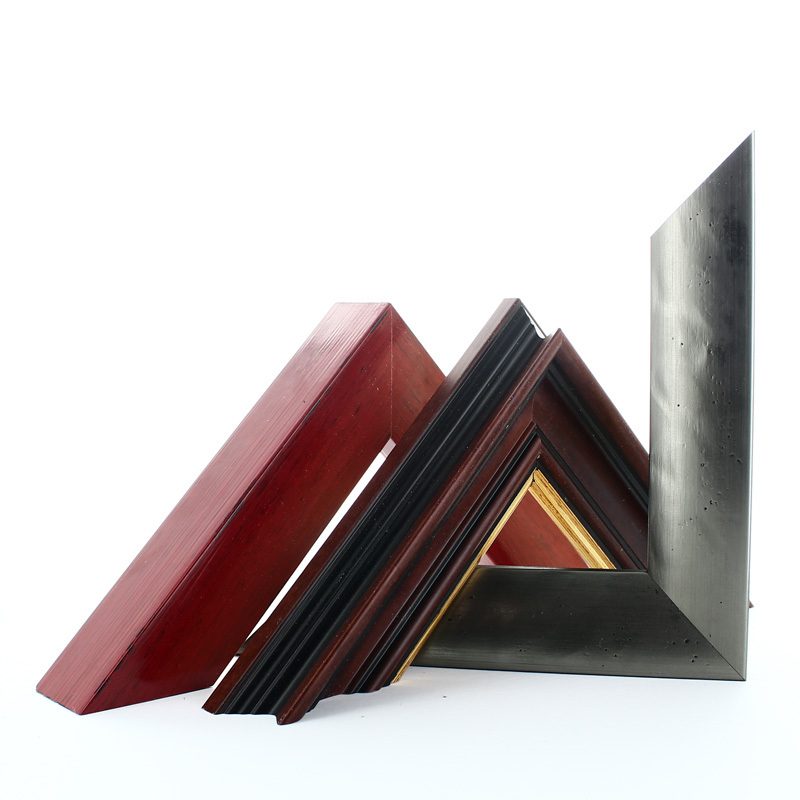 Bits and bobs to help complete your framing job to a higher/professional standard. 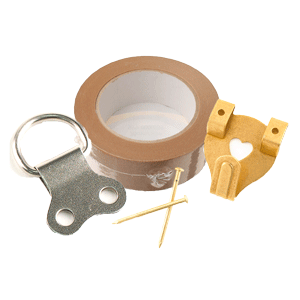 Includes standard tapes, conservation tapes, clips, hanging accessories and extra boards. 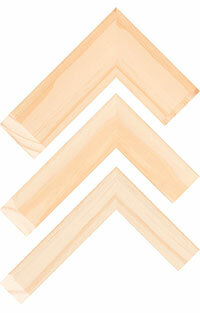 Decorative and ornate frame range with styling that will add a touch of elegance to any traditional painting. These amazingly detailed designs are great value for money and very popular. Upload multiple pictures based around the same theme, design the layout and select your framing combination. 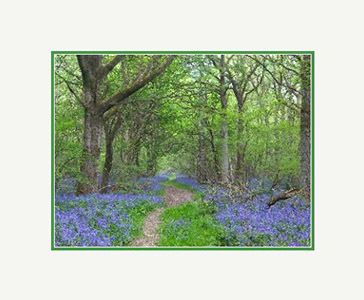 We will print, mount, frame and professionally fit the images to your exact specification. So, you picked up a brand new print or poster and need a well designed or stylish picture frame to finish it beautifully? Perhaps you have a treasured family photograph you want to showcase in an elegant dark wood frame with the right tone of stain? 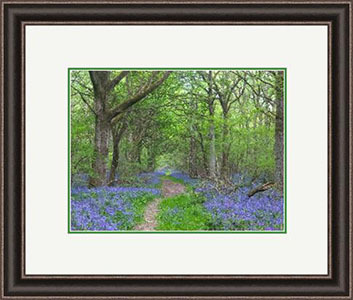 You're at the right place - EasyFrame.co.uk. At EasyFrame we specialise in the fast and accurate production of high quality, bespoke picture frames and mounts, making it easier than ever for you to frame all your favourite artwork and photos. With over 500 frame styles to choose from you'll be indulged in choice and bound to find the perfect frame for every picture or poster, no matter what your tastes or the style of your decor. 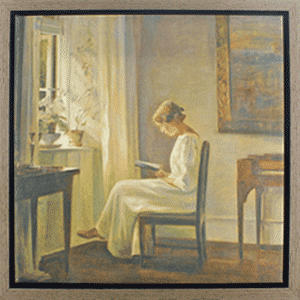 Plus, we pride ourselves on being able to dispatch every new picture frame within 1 to 3 working days, so you have no need to wait around too long to hang your beautiful picture frame. EasyFrame have been manufacturing picture frames and mounts for over 25 years and during that time we've developed loads of expertise and experience that ensures each frame and mount we produce is of the highest quality. Our workshop is packed full of the very best in framing technology, and we have lots of computerised machinery at our fingertips to help us achieve precise results with each and every order. There are a total of 10 qualified and experienced framers on our team, all of them extremely talented in their craft and dedicated to maintaining the highest quality. 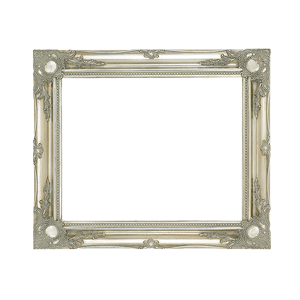 We have gilded ourselves as the expert experts in picture frames in the UK. Despite our unyielding standards, we also know the importance of great value and for this reason we make sure that all our frames are more than affordably priced. Great quality doesn't have to be out of your budget, and when you take a look through our impressive catalogue of frames you'll quickly see that we offer brilliant value for money. 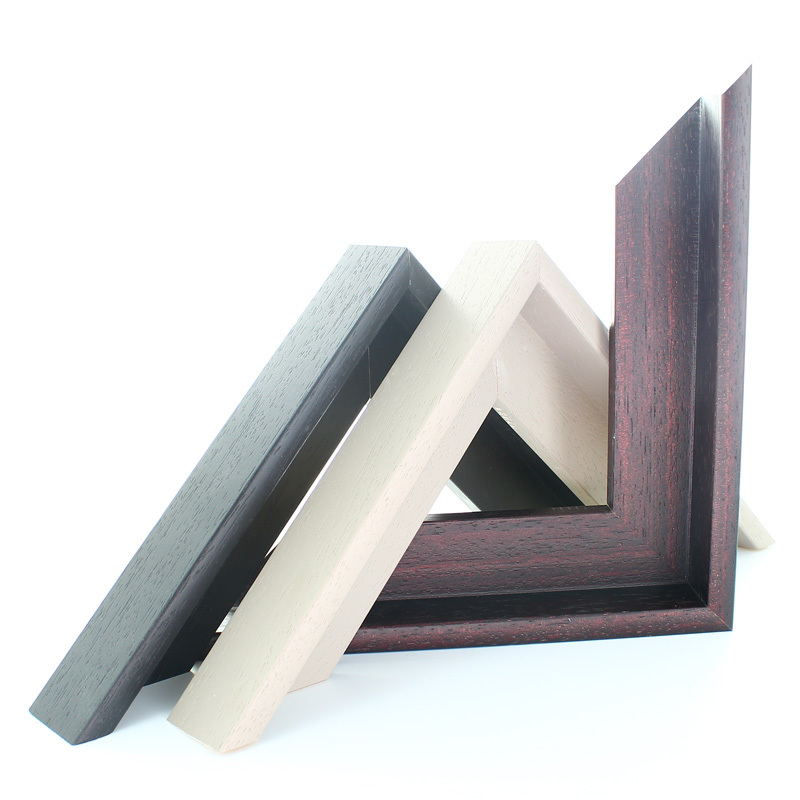 Because we sell so many picture frame mounts, we are able to maintain phenomenal pricing on all the materials and stains. We pass this savings on to our customers so that we can maintain the lowest and best pricing you'll find online. You don't get better value than that! We've been operating for two and a half decades and during that time we've seen many loyal customers return to us again and again. To thank them for their wonderful custom, we set up our Loyalty Points Scheme which rewards them with redeemable points for each order they place. When you set up an online account with us we'll instantly give you 10 loyalty points, worth £1, which can be redeemed straight away. We're so confident that you'll love our service and picture frames that you'll keep coming back for more! EasyFrame offers the widest selection of picture frames in many popular frame sizes as well as made to measure to your exact specification. Great value, amazing choice and incredible quality, all delivered straight to your door in just a few days - what could be better? Head to our catalogue now to get started creating your fabulous frames.